We are not just a trailer sales company anymore! Fleet Trailer has primarily been a trailer sales, rental and leasing company since its’ existence. However, we are now expanding our business and investing in the semi-truck segment as well. What types of semi tucks are we looking for? Class 8’s. Day cabs, sleepers, over-the-road, cartage or anything you think we may be interested in, contact us and we can talk about it. Worried about the brand of your truck? We aren’t. All brands and configuration are considered. The trucking industry has seen a spike in semi truck sales in just one year. In October 2016, there was only 13,674 truck orders. However, in October 2017, the trucking industry totaled an unbelievable 35,700 truck orders! Fleet Trailer wants to continue this tremendous growth, but we need your help! We can, together, help boost the trucking industry one truck at a time, and simultaneously further move the U.S. economy in the right direction! With locations and yards positioned across the United States and three different countries, we are flexible with where you are. Fill out our contact form or give us a call and let’s start talking about selling your truck and putting some money back in your pocket. When you work with Fleet Trailer, you will receive quick feedback and talk with professionals in the trucking industry that know where you are coming from. 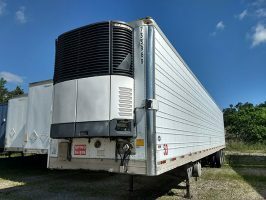 Are you looking to sell your semi truck quickly? We are in the business of making that happen. 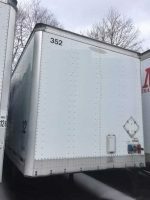 You may be hesitant to sell your semi truck online, but with Fleet Trailer, it will feel like you are standing in the truck yard with us. No scams. No nonsense. Get money back in your pocket fast with Fleet Trailer today.